Where's Stephen? On Wednesday, fans eager to attend a taping of "The Colbert Report" were shocked to learn the show had been abruptly canceled. The situation turned to one of mass withdrawal symptoms Thursday as the show still didn't return; Comedy Central issued a terse announcement that the show was shut down due to "unforeseen circumstances." It was the first time in the show's seven-year history that it's had to cancel taping. 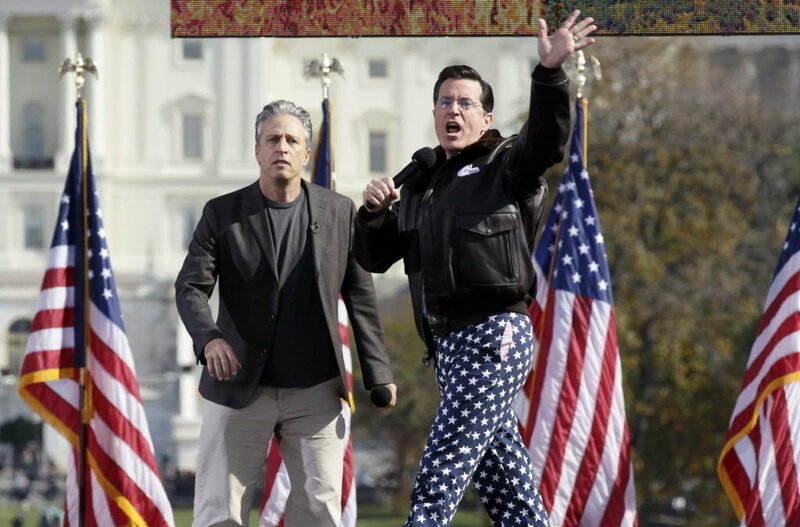 Questions continue about whether Colbert and his nation will return Monday (the show doesn't tape Fridays). The leading theory is that the sudden hiatus has to do with the host's 91-year-old mother. The Wall Street Journal reports that "people familiar with the show" attribute the sudden suspension of production to "an emergency in Mr. Colbert’s family." Whatever the cause, it's impressive that Colbert has managed for so long to keep a respectable degree of privacy around his off-screen persona and family life. His colleague Jon Stewart trades in daily snark too, but mingles it with intense sincerity -- for proof, look no further than Stewart's interview Thursday with Education Secretary Arne Duncan, and the way the schoolteacher's son from New Jersey made the conversation eminently personal. Stephen Colbert, in contrast, the youngest of 11 children, the boy who grew up in South Carolina pronouncing his last name with a hard "t" on the end, nightly slips easily into the guise of Stephen Colbert, bespectacled, vaguely French sounding, super PAC-starting conservative blowhard. He's spent his Comedy Central career deftly creating a knowing caricature, a man whose absurdity isn't just brilliantly funny, it's also a hell of a disguise – one that has no doubt afforded him and his family a degree of insulation from his larger-than-life persona. A mysterious and sudden halting to a successful television show is always newsworthy. But this week, his silence has also made clear how deeply viewers depend on the show for a nightly dose of satire in a sea of political and religious insanity. Just the night before the show went dark, the Catholic Colbert was raising hackles for citing "Obama's vengeful crusade against the Catholic Church," and noting, "Vengeful crusades? Kind of our thing." It's clear already that television without Colbert – even for a mere two episodes – creates a keenly felt absence. But a guy absurd enough to wear star-spangled pants also knows that there are moments in real life when the best thing you can say about what's going on is nothing at all.